Nothing says the welcoming of spring and summer like the official opening weekend of the Deltaville Maritime Museum! Join the Deltaville Maritime Museum May 11-12! A Shrimp & BBQ Dinner and Dance will be held Friday, May 11 from 5 to 9 pm and feature baby-back ribs, steamed shrimp and BBQ! Listen to THE TATERS on the bandstand. For more information about this and other events at the Deltaville Maritime Museum visit them online here. 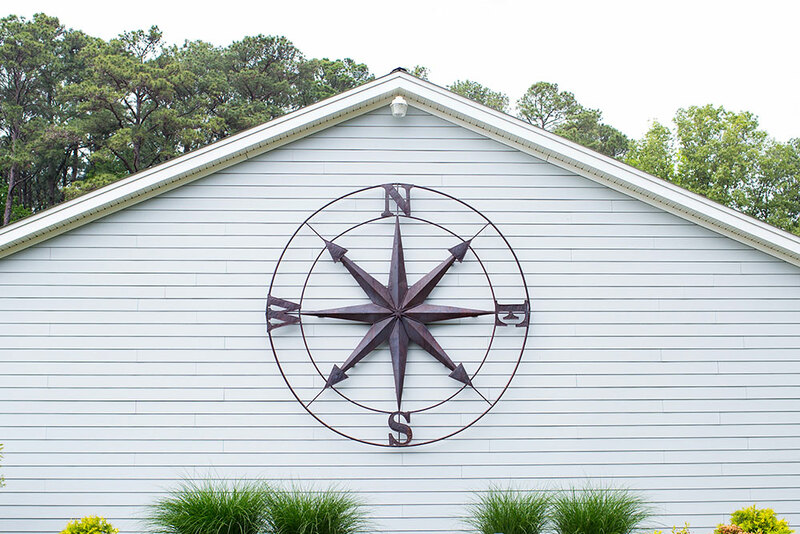 The Deltaville Maritime Museum & Holly Point Nature Park was established in 2003 through the efforts of a dedicated and visionary group of local volunteers. The museum and park flourished and rapidly became a center of activity in lower Middlesex County. In 2012, fire destroyed the existing museum and events pavilion. Through a combination of insurance payments, grants, incredibly generous community support and countless hours of volunteer labor, the museum and events pavilion were totally rebuilt in their current configuration. The new events pavilion opened in 2013. The museum, built in the style of Deltaville’s old Stingray Point Hotel (also known as the Old Red Barn), opened in 2014 with John M. Barber’s very popular exhibition “​Chesapeake – 50 Years of Maritime Art.” Development of the museum, pavilion, and the park continue.